Ziegler, S. F., Roan, F., Bell, B. D., Stoklasek, T. A., Kitajima, M. and Han, H. (2013). The biology of thymic stromal lymphopoietin (TSLP). Adv Pharmacol 66: 129-155. Han, H., Headley, M. B., Xu, W., Comeau, M. R., Zhou, B. and Ziegler, S. F. (2013). Thymic stromal lymphopoietin amplifies the differentiation of alternatively activated macrophages. J Immunol 190(3): 904-912. Han, H., Xu, W., Headley, M. B., Jessup, H. K., Lee, K. S., Omori, M., Comeau, M. R., Marshak-Rothstein, A. and Ziegler, S. F. (2012). 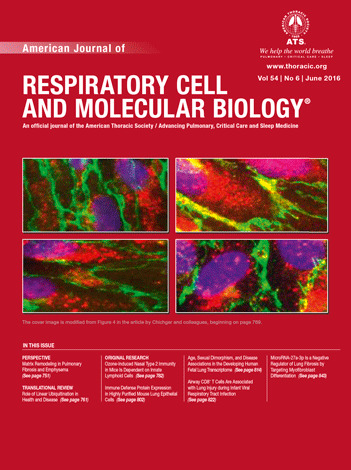 Thymic stromal lymphopoietin (TSLP)-mediated dermal inflammation aggravates experimental asthma. Mucosal Immunol 5(3): 342-351. Yano, M., Kuroda, N., Han, H., Meguro-Horike, M., Nishikawa, Y., Kiyonari, H., Maemura, K., Yanagawa, Y., Obata, K., Takahashi, S., Ikawa, T., Satoh, R., Kawamoto, H., Mouri, Y. and Matsumoto, M. (2008). Aire controls the differentiation program of thymic epithelial cells in the medulla for the establishment of self-tolerance. J Exp Med 205(12): 2827-2838. Han, H. (2007). Target-organ specificity of autoimmunity is modified by thymic stroma and bone marrow-derived cells. J Med Invest 54(1-2): 54-64. Kinoshita, D., Hirota, F., Kaisho, T., Kasai, M., Izumi, K., Bando, Y., Mouri, Y., Matsushima, A., Niki, S., Han, H., Oshikawa, K., Kuroda, N., Maegawa, M., Irahara, M., Takeda, K., Akira, S. and Matsumoto, M. (2006). Essential role of IkappaB kinase alpha in thymic organogenesis required for the establishment of self-tolerance. J Immunol 176(7): 3995-4002. Niki, S., Oshikawa, K., Mouri, Y., Hirota, F., Matsushima, A., Yano, M., Han, H., Bando, Y., Izumi, K., Matsumoto, M., Nakayama, K. I. and Kuroda, N. (2006). Alteration of intra-pancreatic target-organ specificity by abrogation of Aire in NOD mice. J Clin Invest 116(5): 1292-1301. Kuroda, N., Mitani, T., Takeda, N., Ishimaru, N., Arakaki, R., Hayashi, Y., Bando, Y., Izumi, K., Takahashi, T., Nomura, T., Sakaguchi, S., Ueno, T., Takahama, Y., Uchida, D., Sun, S., Kajiura, F., Mouri, Y., Han, H., Matsushima, A., Yamada, G. and Matsumoto, M. (2005). Development of autoimmunity against transcriptionally unrepressed target antigen in the thymus of Aire-deficient mice. J Immunol 174(4): 1862-1870. Uchida, D., Hatakeyama, S., Matsushima, A., Han, H., Ishido, S., Hotta, H., Kudoh, J., Shimizu, N., Doucas, V., Nakayama, K. I., Kuroda, N. and Matsumoto, M. (2004). AIRE functions as an E3 ubiquitin ligase. J Exp Med 199(2): 167-172. Kajiura, F., Sun, S., Nomura, T., Izumi, K., Ueno, T., Bando, Y., Kuroda, N., Han, H., Li, Y., Matsushima, A., Takahama, Y., Sakaguchi, S., Mitani, T. and Matsumoto, M. (2004). NF-kappa B-inducing kinase establishes self-tolerance in a thymic stroma-dependent manner. J Immunol 172(4): 2067-2075.